MOSCOW, March 29. /TASS/. Three more people have sought medical attention following a fire in the Zimnyaya Vishnya (Winter Cherry) shopping mall in Kemerovo; so, a total of 79 people have been injured in the fire, the operational headquarters told TASS. "Twelve people, including two children, are staying in the hospital, and 67 received ambulatory medical treatment, including 25 children," a headquarters representative said. The fire erupted on the top floor of the Zimnyaya Vishnya (or Winter Cherry) four-storey shopping mall in the Siberian city of Kemerovo on March 25, eventually engulfing an area of 1,500 square meters. According to recent reports, the blaze killed 64 people, including 41 children. 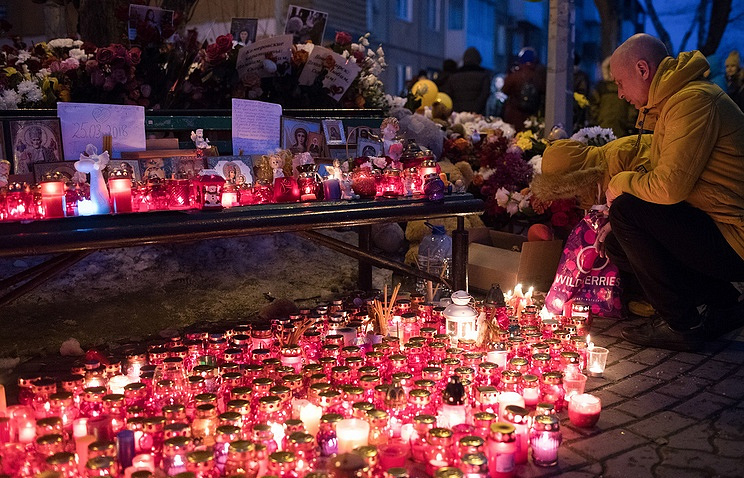 President Putin declared March 28 a national day of mourning for the fire victims.